Northwest Harley-Davidson® would like to thank you for choosing our dealership by offering a free frequent shoppers program, More Than Rewards. The more you shop in our store, the more points you earn. Points can be redeemed for Rewards coupons which are used like cash at Northwest Harley-Davidson®. Every time you make a purchase at our dealership, you will receive Loyalty Rewards Points which can be used to purchase store Reward Coupons! Our Loyalty Rewards program is completely automated and does NOT require you to carry a Loyalty Card. Every qualifying purchase you make the Loyalty System will automatically send you an e-mail letting you know your point balance and how to redeem those points for a store rider bucks. To redeem your points, log in to your secure personal private loyalty portal which is accessible through the dealership website. Click on your point total and select the gift certificate you wish to receive. You have the option to print the gift certificate or send it to your mobile device to redeem at the dealership cash register. Our Loyalty Program also allows you to review your purchase history when you log in to your private web portal. All qualifying purchases at the dealership will be displayed in your portal for review once your Loyalty account is activated. Active Duty Military earn 2X reward points at Northwest Harley-Davidson! to unlock additional rewards, bonus points, and more. “Opt Out” when you receive your first Welcome e-mail, or at any time you may log in to your private web portal and select the option to “Disable” your Loyalty Rewards Account. Do my rewards coupons expire? Yes, Rewards coupons expire 30 days after they are printed. You must print them at home (we can't do it here!). Is there a cap on how many points I can earn? Yes, If your account reaches 200,000 points, you cannot earn more until you redeem some of your points. Who Can Earn Rider Rewards Points? RIDER REWARDS can only be used by the original customer who joined the program or a member of their immediate household. Northwest Harley-Davidson® reserves the right to request photo identification with the proper address. Only the Northwest Harley-Davidson® RIDER REWARDS member account holder may redeem points to a RIDER REWARDS Coupon. How Are Rider Rewards Points Earned? You will receive 1 point for every $1.00 you spend at Northwest Harley-Davidson® on Parts, Accessories, General Merchandise, and Service Labor (excluding specially priced or discounted items, taxes, bike or vehicle purchase, accessories included in biek deal, online purchases and certain service procedures including, but not limited to inspections, collision and warranty work, insurance claims -See store for details). Your first rewards coupon is available at 100 points. Your rewards increase at each point level. You may choose to accumulate points over the course of the program period. Once you decide to redeem a coupon, the points will automatically subtract from your total. How Does The Rider Rewards Program Work? Any of our Point of Sale Associates can assign a RIDER REWARDS number to your Retail account here at the dealership. Points will be automatically credited to your RIDER REWARDS account with each qualifying purchase. Points are available 24-72 hours after purchase. For every bonus point event, those points will be available 48-72 hours from the next business day. Points will not be credited for any warranty or accident repairs. Returns are subject to a deduction of points earned from the original purchase. How Can You Track Your Rider Rewards Points? Register using the account portal above. You can also stop by Northwest Harley-Davidson® or give us a call. We would be happy to look up your balance. How To Use Your Rider Rewards Points? Points are redeemed to a coupon that you print by accessing your account through the Rider Rewards Page. The coupon will have an expiration of 30 days from the print date. 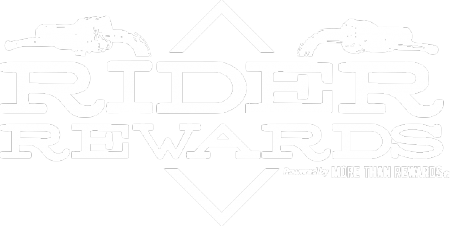 Bring the Rewards Coupon to Northwest Harley-Davidson® to be used toward your next purchase. Points and rewards have no cash value and rewards cannot be redeemed then placed on an account or used to purchase a gift card. You may also stop into Northwest Harley-Davidson® and ask us to print a coupon for you. Do I have to use the full value of my Rewards coupon at time of purchase? Yes, if you do not use the full value of the Reward coupon, the remaining balance will be lost. What purchases qualify for points? For every $1.00 you spend on Parts, General Merchandise, and Service (excluding specially priced or discounted items, taxes, bike or vehicle purchase, online purchases, gift cards and certain service procedures including, but not limited to inspections, collision, and warranty work-See store for details) you earn 1 RIDER REWARDS point. Northwest Harley-Davidson® reserves the right to discontinue or modify the Reward Program privileges and/or void all or a portion of the member's point balance if points or coupons have been issued, received, or redeemed through human or computer error, fraud or theft, through illegal means, or in any manner inconsistent with the intent of the program. Northwest Harley-Davidson® reserves the right to modify or cancel the Northwest Harley-Davidson® Reward Program at any time. All points are given at the discretion of Northwest Harley-Davidson®. Points can be changed, removed or added at any time and hold no cash value. Any or all discrepancies are decided by Northwest Harley-Davidson® management, and the decisions are final. Do Rider Rewards Points Expire? Yes, you must make a purchase at least once a year to keep your account active. Your points will expire after 365 days if no purchase has been made. Points cannot be combined with any other discounts, sale items or special orders and are not transferable. Points earned with RIDER REWARDS do not expire all long as you make a purchase at Northwest Harley-Davidson within 365 days of last purchase; however, there is a 200,000 point cap, meaning you can’t have more than 200,000 points at any one time. Points cannot be combined with any other discounts, sale items or special orders and are not transferable. Points are automatically credited to your Rewards account with each purchase at Northwest Harley-Davidson®. Rewards are available 24-72 hours after purchase. Rewards for bonus events will be available 48-72 hours from the next business day. Rewards can only be used by the original customer who joined the program or a member of their immediate household. Picture ID may be required, and only the RIDER REWARDS account holder may redeem points. RIDER REWARDS coupons must be redeemed within 30 days of the print date. Points and rewards have no cash value, and rewards cannot be redeemed and placed on an account or used to purchase a gift card. Once points have been used to purchase a Reward Coupon, it cannot be undone. If the full value of a Reward Coupon is not used, the balance is lost. Northwest Harley-Davidson® reserves the right to discontinue RIDER REWARDS Program privileges and/or void all or a portion of a member's point balance if points have been issued, received, or redeemed through human or computer error, fraud or theft, through illegal means, or in any manner inconsistent with the intent of the program. Northwest Harley-Davidson® also reserves the right to modify or cancel RIDER REWARDS Program. All points are given at the discretion of Northwest Harley-Davidson®. Points can be changed, removed or added at any time and hold no cash value. Any and all discrepancies are decided by the Northwest Harley-Davidson® management.